We take the guesswork out of achieving success by using our specialist recruitment marketing experience to provide your business with a bespoke, comprehensive recruitment marketing strategy that will see your recruitment business quickly generate a return on investment. All of our marketing strategy packages include dedicated time to get to know your recruitment business and its specific marketing objectives. 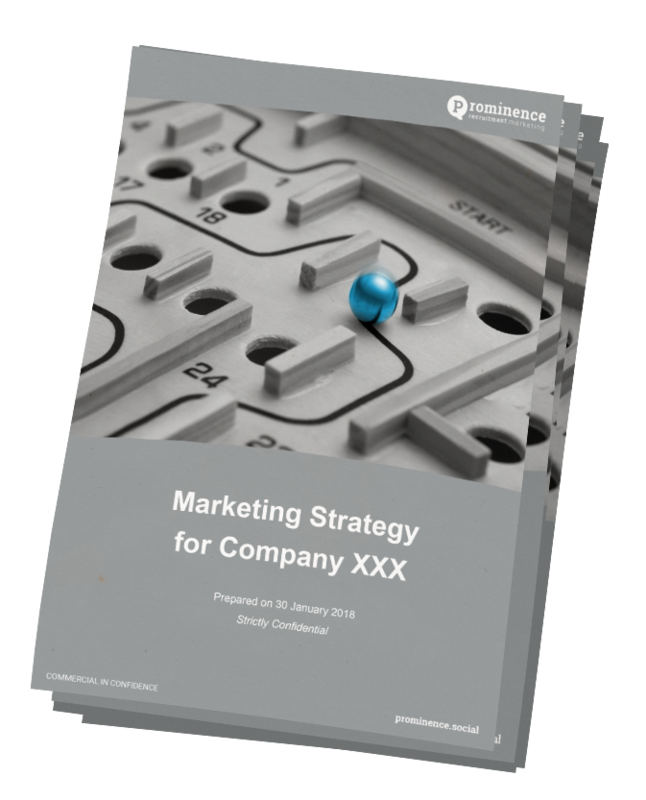 We then prepare comprehensive strategy documentation that outlines the marketing initiatives that will be carried out; who is responsible for them, how they should be measured and the results you should expect. Budget is clearly detailed along with any third party support you are likely to need. If you’d like more details on anything including pricing, how we track results, to request a specific case study or if you’re ready to get started – get in touch.